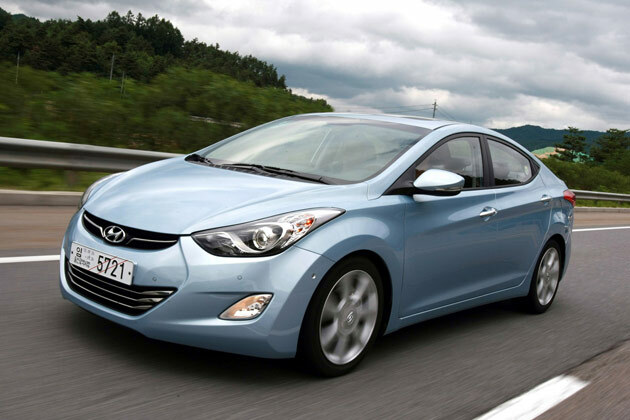 Hyundai has recently received four new accolades for the Accent, Elantra, Genesis Coupe, and Tucson models. Each one of the four was awarded "Best Value in America" for 2012 from Vincentric, a Michigan-based automotive data compilation and analysis firm. Vincentric measures cost-of-ownership based on eight categories: depreciation, fuel, insurance, opportunity cost, financing, maintenance, taxes and state fees, and repairs. The cars are assessed in each state as well as the District of Columbia. Vincentric "measures which vehicles have a lower than expected ownership costs in relationship to their market segment and price." They give insight to the automotive industry by first recognizing and then applying numerous features of automotive value. The Accent, Elantra, Genesis Coupe, and Tucson won "Best Value" for the Subcompact, Compact Sedan, Mid-Size Coupe, and Crossover Compact Entry-Level categories, respectively. “The Accent, Elantra, Genesis Coupe and Tucson are all prime examples of models that not only meet but exceed customer expectations when it comes to value,” said Scott Margason, director, Product Planning, Hyundai Motor America. Margason adds that the combination of Hyundai's great quality cars and their Assurance program decreases the overall cost of ownership. The New York International Auto Show beginning on April 4th, 2012 will unveil the brand new 2013 Hyundai Santa Fe. Not too much is known about the updated CUV, but on their Twitter account the other day, Hyundai tweeted two preview pictures of the car. Evolving from the Hyundai "Fluidic Sculpture" styling language, the 2013 Hyundai Santa Fe promotes the new look: "Storm Edge". Says Hyundai, the Storm Edge design concept "captures the strong and dynamic images created by nature during the formation of a storm." The CUV sports the now-standard hexagonal grill and a lower bumper, creating a more rugged facade. This look supposedly will form the basis for other future Hyundai SUVs. The powers-that-be are keeping the details of the 2013 Santa Fe under wraps until closer to the Auto Show. They have said the new model is built around "Refinement, Smartness and Practicality" with improved fuel economy, better use of internal space and updated in-car technologies. Few other details are known at this time.